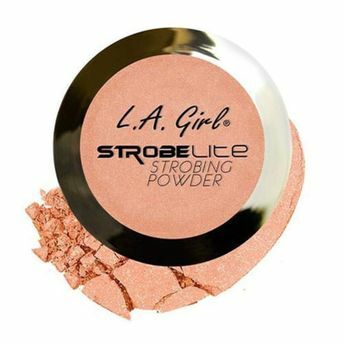 Strobing made easy with the L.A.Girl Strobe Lite Strobing Powder that highlights your facial features by creating more depth and dimension where light usually hits. The soft and silky powder adds a fresh glow to highlight cheeks, brighten eyes, sculpt nose, and enhance pout. Strobe Lite can be applied alone or over makeup for a perfect glowing complexion. Powder is paraben and fragrance free. You can browse through the complete world of L.A. Girl Highlighter. Explore the entire range of Highlighters available on Nykaa. Shop more L.A. Girl products here.You can browse through the complete world of L.A. Girl Highlighters .Alternatively, you can also find many more products from the L.A Girl Strobe Lite Strobing Powder range.